It is good to see progress being made this week on addressing a major issue facing Samoa – child vendors and the long-term implications of their lack of education. Seeing pictures taken yesterday of children vendors at an Apia conference ¬– whom we would normally see around shops with their plastic baskets trying to sell popcorn, match boxes, cotton buds and other items to the public – was an eye opener. Thanks to the Samoa Victim Support Group Juniors and their partners, we got to see children vendors off the streets of Apia for a day and in a conference room, which could have easily passed for a classroom! 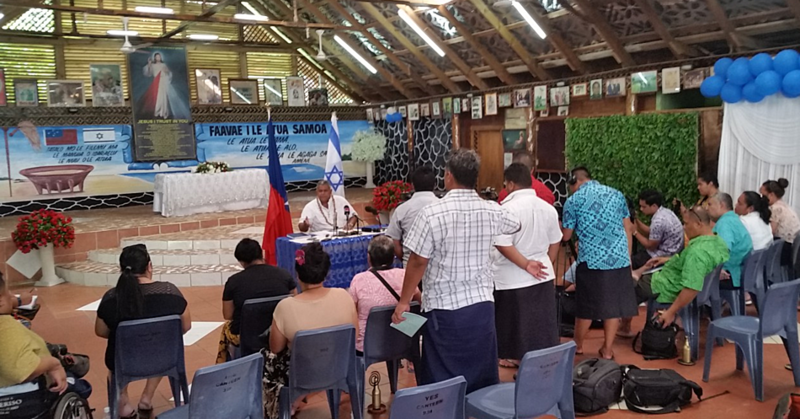 As part of the Samoa Victim Support Group (SVSG) conference – in partnership with the International Labour Organisation (ILO), child vendors from Vaiusu, Tafaigata, Falelauniu and Nuu-fou were partnered with SVSG Juniors youth from the Luatuanuu Congregational Church of Samoa Youth, the Fasitoo-uta Youth, the Shrine of the Three Hearts Youth, the SVSG Youth Empowerment Program, and the Sisters of Hope as part of a “buddy up” programme. The SVSG Juniors vice president, Franzisca Sione, highlighted the importance of the programme in an interview with your newspaper. “We acknowledge our donor ILO for their support and also our village representatives that assisted in finding the child vendors, and also we have registered each child and also with a signature of permission from the parents for their child’s participation,” he added. But the issue of child vending on the streets – rather than them being in school – is not new in Samoa. The Government enacted a law in the past in a bid to tackle the issue. Close to 10 years ago the Government passed the Education Act 2009, which prevented children from selling goods during school hours. Attorney General, Lemalu Hermann Retzlaff, told this newspaper in January 2017 that the law stopped children from selling during school hours. But all has not gone well since the enactment of that particular legislation and children continue to sell on the streets of Apia. A report by Samoa’s Ombudsman, Maiava Iulai Toma, in early 2017 pointed to lax enforcement of laws as a reason behind children selling goods on the streets during school hours. A report titled “Report of the Rapid Assessment of Children Working on the Streets of Apia, Samoa: A Pilot Study” – which was also published in 2017 – also visited the issue and made a number of recommendations. The study also found that most of the children were forced on to the streets, due to the financial challenges that their families faced at home. 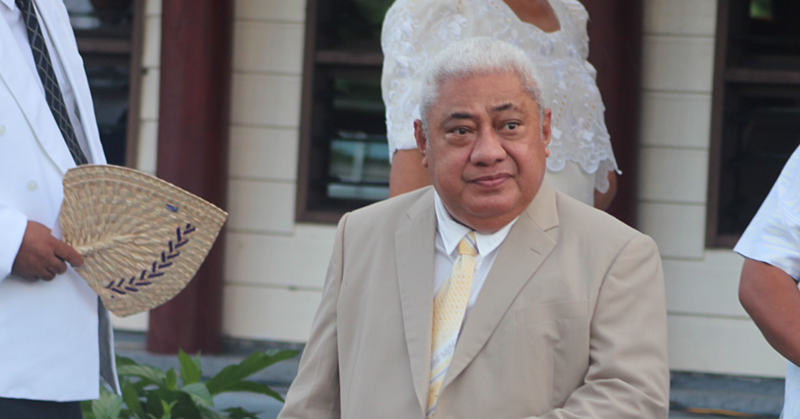 It has been over two years since the release of the ILO study and it is not known if the relevant state agencies have acted – inline with the directives of Prime Minister Tuilaepa Dr. Sa’ilele Malielegaoi in March 2017 – who asked that they implement the recommendations. We note the participation of three Government Ministers in the “buddy up” programme: Ministry of Police, Ministry of Education Sports and Culture, and the Ministry of Women Community and Social Development. And we hope the programme can have an impact on the youngsters and compel them and their families to act. However, there is a strong correlation between Samoa’s child vendors issue, and growing poverty amongst the less-well-to-do Samoan families. The ILO study made subtle references to the issue when it pointed to the “financial challenges” that the families of the child vendors faced. Therefore, enacting laws to force children back into the classroom and pushing for their strict enforcement, can mean nothing to children who wake up everyday wondering where their next meal will come from. It is time to tackle the issue at its core in order to get a long-term solution. The pathways could include: empowering Samoan families with limited income generation opportunities by assisting them to find jobs; giving them access to microfinance funding which would enable them to set up a small business; or putting a member of the family through some form of basic technical skills training which can enable him or her to secure a job and therefore a steady income to care for his or family. Empower them to be in a position to look after their families and send their children to school, like any other family. Failure by the Government and relevant stakeholders to address this issue now can have long-term implications for the security of the nation and its people. With Samoa graduating from its Least Developed Country (LDC) status five years ago, and becoming one of few states in the region to tick the boxes in terms of its development indicators, the plight of the country’s less-well-to-do families and its link to child vending cannot continue to be overlooked. What do you think? Have a wonderful Thursday Samoa and God bless.